Shift F7 operate in two ISO 27001 accredited Datacentres. These accredited Datacentres ensures that proper controls addressing confidentiality, integrity and availability of information are in place to safeguard your business’ data. Unprotected systems are vulnerable to computer-assisted fraud, sabotage and viruses. Breaches in information security can allow vital information to be accessed, stolen, corrupted or lost. 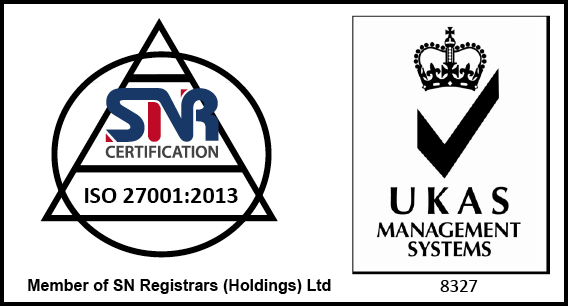 All our disaster recovery solutions are fully compliant to ISO 27001. This accreditation helps us demonstrate to customers and partners that we take information security seriously. It is important to understand that ISO 27001 certification is not a one-off exercise. To stay at the fore front of our services and to maintain the certificate we welcome the reviewing and monitoring of information security management system on an on-going basis. If you would like more information on this well-earned and respected accreditation please do not hesitate to contact us.